The weather the past few days has been WONDERFUL! Spring is finally in the air, the flowers are blooming, and the days are perfect for long hours at the park! 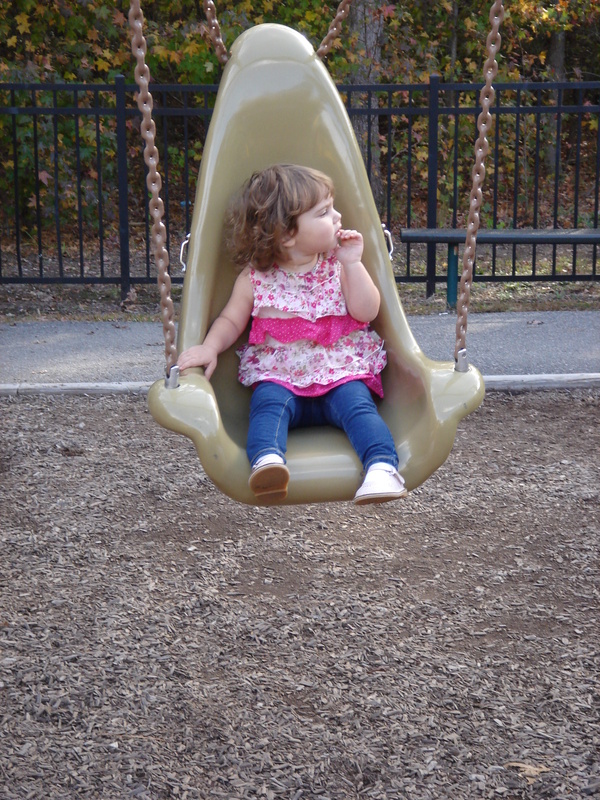 Virginia has great parks for playtime- I love going with a group so my girl gets to play with other children and I can spend hours talking with my friends as well. Here are a few of my favorites in the Richmond Area. This park is great for many ages, but particularly those with toddlers. Created with handicap or wheelchair bound children in mind, it is easy for the smaller children to climb, walk, and run around the multilevel play-set in order to get to the slides. It has “lazyboy” swings intended for easy use for those with handicap and those are HEAVENLY. My child could swing in these recliner swings for hours. It includes multiple swing sets, a sandbox, multiple size slides, much more. There are also picnic tables for snack time, basketball courts, shelters for grilling, restrooms, a soccer field, tennis courts, and trails for biking, and running. My family loves Frisbee golf and this park has an 18 basket Frisbee golf course that we love to play. (Make sure you bring your own Frisbees) It also has a swing set play area, although I would not go there for that. It includes walking, running/ biking trails, an azalea bush area (beautiful this time of year), grilling shelters, restrooms (warning- these are not the best), a duck pond, and soccer fields. This park is best for older children who can participate in the Frisbee golf. SO much fun. Don’t know what Frisbee golf is? Learn about Frisbee golfing by clicking HERE. It is easy and fun for an older family- although my toddler loves playing with the Frisbees as well. Lombardy Park 1500 Hanover Avenue at the right at Lombardy Avenue/Hanover Avenue/Park Avenue. 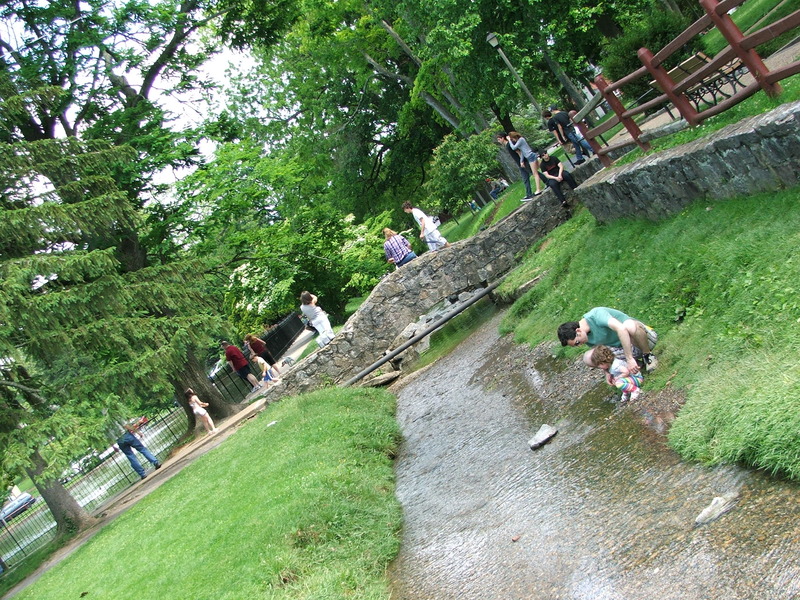 Two of my most favorite parks in the WHOLE WORLD are not in the Richmond area, but they are in Virginia. MUNDEN POINT, Virginia Beach 2001 Pefley Lane, Virginia Beach, Virginia This park is BEAUTIFUL. It is located on the North Landing River, and is just lovely. The 2 lane drive is so picturesque as well. Be sure to stop at one of the fruit stands along the way! This park has multiple new play-sets, baseball fields, soccer fields, picnic shelters and tables (on the river!! 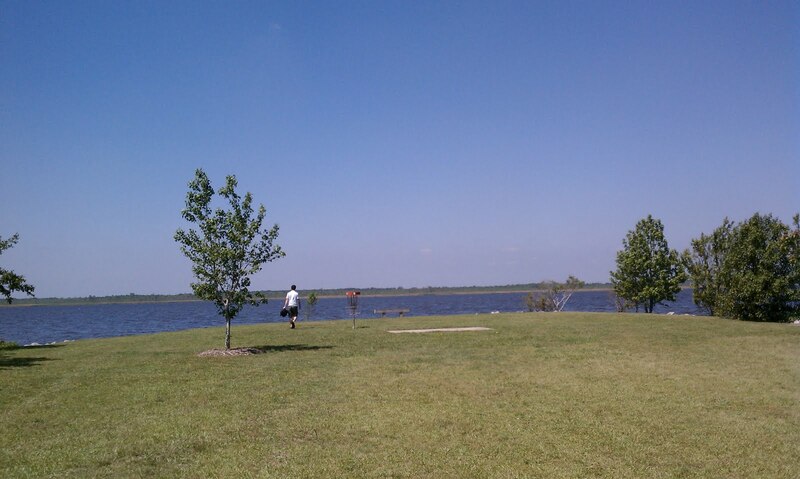 ), an 18 basket Frisbee golfing course, nice restrooms, horseshoe pits, boat ramps, and so much more on its 100 acre park. You can also rent all types of equipment for the various activity you want to participate in! This park is AMAZING! Complete with multiple new play-sets, restrooms, tadpole ponds, duck ponds, soccer fields, baseball fields, a community pool, walking and biking trails, a community center building and famous for it’s Gypsy Express train ride during the summer. 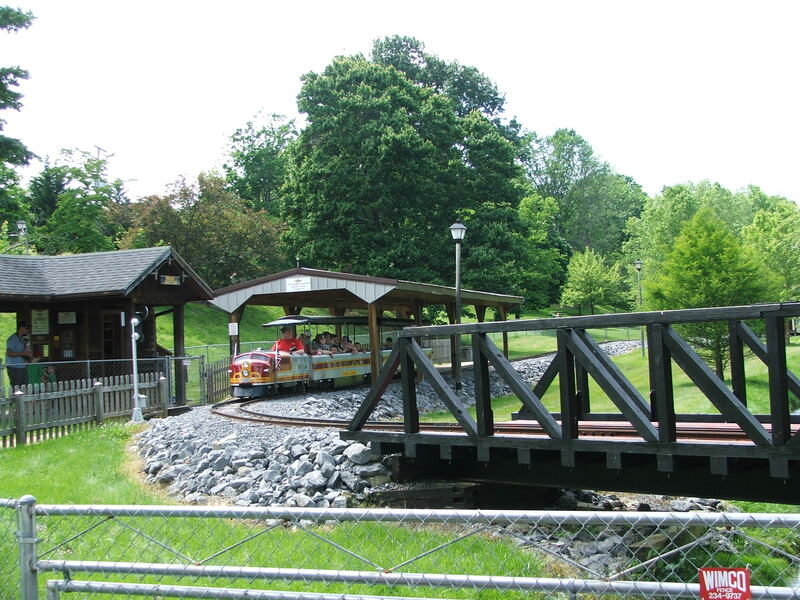 We had hours of fun at this park and it is well worth the trip into the mountains! I hope this will help kick start your spring! Please note* I am not a professional photographer- Stephanie is. All of these images were taken by me, Haley Roberts, the blog writer, not Stephanie, the amazing Certified Professional Photographer. We hope you can take some time to enjoy a little time with your family at a park during this beautiful spring time! Today we bring our Infant Information Series to a close. It has been such fun researching the best baby products out there and I hope that there has been something among the various posts you have found to be helpful! Did you know the first known stroller to be invented was used in 1733? Designed for the third Duke of Devenshire by William Kent, a garden architect from England, the first stroller was designed in the shape of a shell and pulled by-wait for this- a GOAT! Soon all wealthy families were requesting mini baby carriages of their own and it wasn’t until many years later that they came equipped with a handle for parental or nanny guidance. So what that means is the “nanny” dog seen in the Disney Classic “Peter Pan” was not too far from the truth in the late 1700’s. 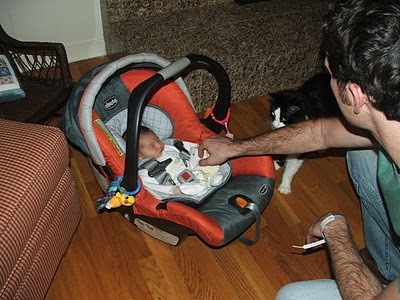 The dog, or small pony truly was responsible for pulling the baby in the carriage. Interesting! To find out more about the history of strollers CLICK HERE. 1. What do you need a Stroller for? List out all possible uses and intentions. There are millions of brands and styles out there on the market. It is important to make a list of what and where you intend to use your stroller in order to purchase the best one(s) for your family. Here are a few examples of what I mean. For the active, outdoors family. If your family is very active and you plan to run, hike, off-road, etc with your stroller in tow you will want strollers specifically designed to be used with these types of activities. Off roading bikes typically have shocks in place so that the baby will not be jostled as your make your ways over uneven rocks/dirt areas and a five part harness for safety. They also glide like a dream. The wheels have heavy duty tires for better traction. 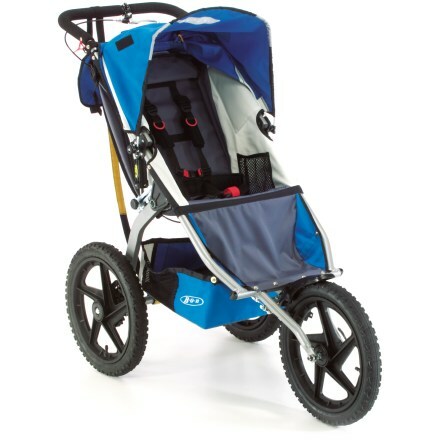 The BEST brands for this type of stroller in my opinion are the off-roading strollers made by BOB and the Chicco S3 All Terrian 3 Wheel Stroller. The Traveling Family. If you are a high travel family that has many airplane, train, or bus trips in your future, you will likely want to invest in a umbrella stroller. Compact and lightweight, they meet the TSA standard guidelines, fold and unfold easily, take up very little space, and they get the job done. I also love mine when shopping. You never realize how small the aisles in the store are until you try to maneuver your off-roader through them. Any basic one will do. I like the ones from Target for this type of stroller because they are cute and basic. The ALL purpose Stroller. These types of strollers typically grow with your child. They have the ability to have the car seat attached or snap into the stroller while your baby is still young, but as your child grows, they can sit comfortably in just the stroller itself. There are so many types of this stroller! You can get it as a double seat, single, with swivel front wheel or stationary. You name it-it’s out there! For an example, CLICK HERE. Note* I found these strollers to be cumbersome and not lightweight. Be sure to test your stroller before buying and save yourself the frustration. 2. What is your current or future family planning? Think about how many children you are having or plan to have. If you are having multiples or plan on having another child in another year or so, perhaps you should invest in a two-seater rather than a one seater. And for daycare or moms who have many more kids-CHECK OUT THIS STROLLER! I found that fascinating! 3. What is the safety rating, durability, and quality of the stroller? Harness: Is it a five point or 3 point? It should be easily adjustable but also not loose. It should also be easy for you to open and close but not for your child. 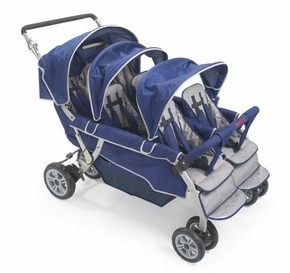 If you have an all-in-one stroller your car seat should securely attach to the stroller. Reclining Feature: How far back does it go? Does it recline at all? Will it hold up over time? Is it easy to adjust? Is the baby protected from the sun in the reclining position and it the upright position? Creature Features: How is the storage? If there is not enough storage you may be tempted to place things unsafely on the stroller, causing it to tip. Is there a drink holder? Does the handle adjust up and down for different parent heights? Is there a rain guard/Shield included or as an option? Does it come with a sun shield? Footrest: Footrests for children are not only more comfortable but they keep little feet from potentially being scrapped or run over by the wheels. Brakes: Safety and durable brakes are a MUST. The brakes can keep your sweet baby from rolling away from you on uneven surfaces. The best brakes are linked to the wheels on both sides. Collapsability: How easy is it to collapse the stroller? Will you fight with it constantly? Is it secure or can it potentially collapse on your baby. Practice with the models in the stores. *Read ratings and reviews online! They are a great resource for you and your family! 4. How does the stroller you have selected move? Do the brakes constantly get jostled down causing you to trip up. (There are strollers out there that do this. Keep in mind you get what you pay for!) Are the wheels able to move in all directions (swivel) or are the stationary in one direction? Again try them in the store and weave them through the aisles. The good news is there are so many options on the market you will be able to find the right product and brand for you and your growing family. Best advise I can give is take your time. Allow yourself to go see what products are out there and do not buy the first one you look at. Unless it is a Bob stroller. There is no denying how wonderful those strollers are. They are so lightweight and they glide so smoothly, I am telling you it feels like they walk themselves. Again, we have enjoyed sharing this series with you and hope you have enjoyed reading it. Please provide us with feedback about what you would like us to research next for you! 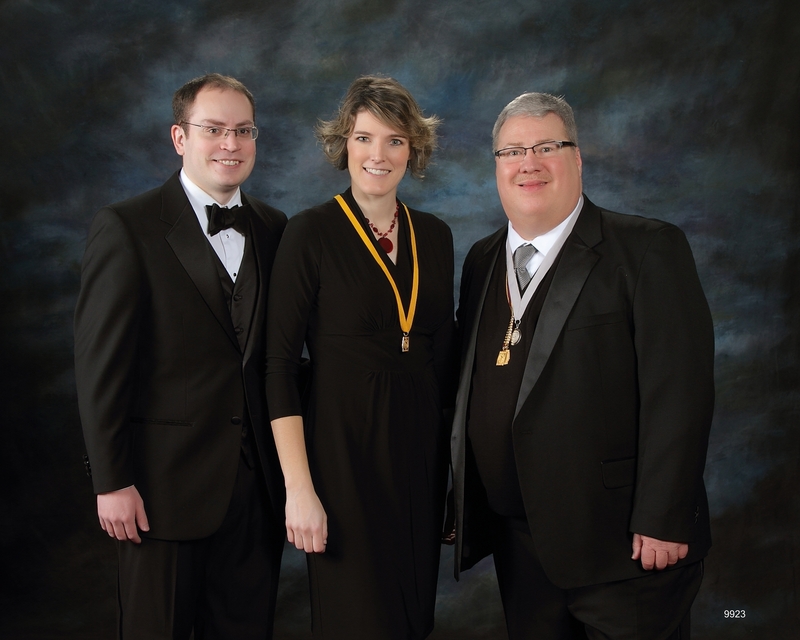 Last week was the Virginia Professional Photographers Association (VPPA) annual convention. This year I was in charge of registration. Which is always fun to get to know more of the members. Next year will be my turn to plan the entire convention. Wish me luck! I’m going to need it. We always have a good time visting and catching up with our photographer friends from across the state, learning from other professional photographers across the nation, and entering our images in print competition to see how we can improve. This year I was awarded Court of Honor in the Pet/Animal category. It was a wonderful surprise. With the struggles I’ve had with this pregnancy I have not been able to dedicate much time to other things so I was excited the judges enjoyed this image. Piper is so sweet and beautiful and it was a pleasure to photograph her. 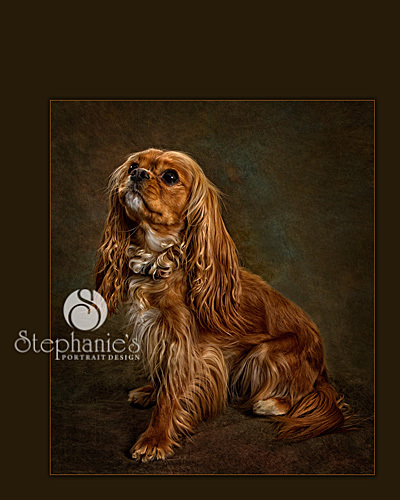 I really love this image and it is one of my favorite pet portraits. 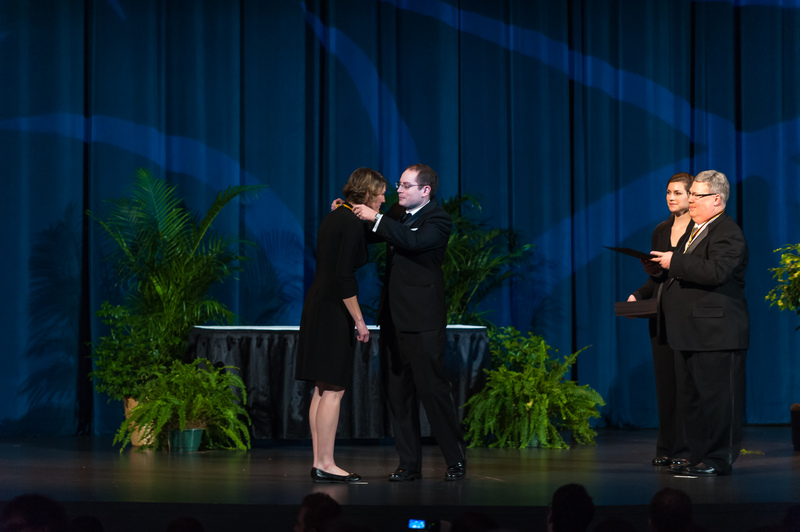 I was also honored to received the Virginia degree, Fellow of Photography. It is truly an honor and privilege to learn and work along side some of the best and most talented photographers in Virginia and around the country. As mothers, the safety of our child is our number one concern! Finding the perfect car seat is a must before your newborn makes their grand debut. One, hospitals will not let you leave without first presenting a car seat for your little angel to ride in. Secondly, you do not want to send out your husbands last minute to find one “that looks good.” Who knows what they might come back with! With so many options flooding the market, how do you know which brand or style to choose?! We can help. First and foremost you should be familiar with the law in your area. Each state is different. In Virginia the summary of the law is that all children age 7 and under must be restrained in a child safety device and that rear facing car seats must be placed in the rear seats of the car. To Find out more CLICK HERE. I have also included some car safety basics for you to review. CLICK HERE. WHAT TYPES OF CAR SEATS ARE OUT THERE? *Special Thank you to Britax website for the car seat specifics. This is one of my FAVORITE car seat brands. Positives: Easily portable and many come with complete travel systems where you never have to move the baby to be on the go! (Converts to carrier, car seat, or stroller). They provide the best fit for your infant because they are made specifically for infants. CONVERTIBLE CAR SEAT: These are an all-in-one car seat where you can use it as a rear-facing infant carrier and then convert to front facing as your child grows. For many you can use until them until they turn 8 and are no longer required to sit in a car seat. This is what is pictured above. Positives: You only have to buy one car seat that grows old with them. That means less junk in the attic- yes please! I did not use mine for rear facing but I love it for front facing. The one I have is SUPER comfortable! My child loves it and it has been easy to use and convert. And it does not move once installed. It is super safe. Negatives: It is cumbersome to move between cars. SUCH A pain. Typically they are large and heavy. Not a good choice for a small car needing to fit multiple car seats. Cannot use as a carrier. 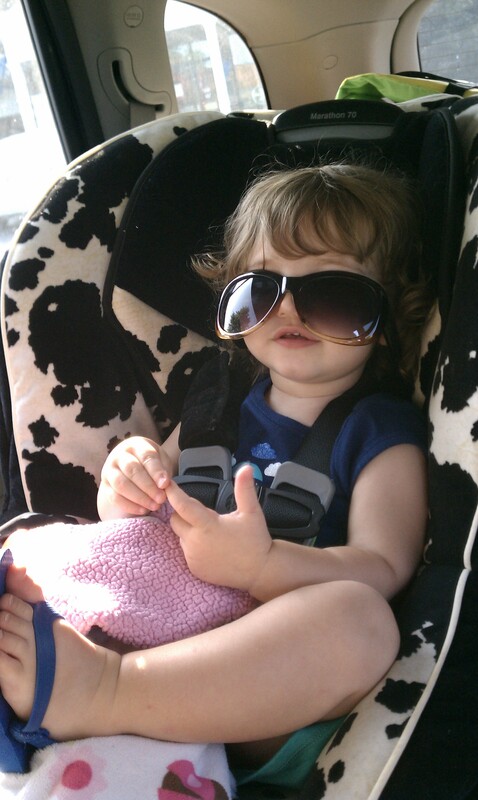 FRONT FACING CAR SEATS:Can only be used as front facing car seats. Many parents like them because they grow old with a front facing child and keeps a child in a 5-point harness for longer. 5 point harnesses are recommended as the safest way to travel. Positives: They can be smaller than the convertible so they fit better in small cars. They are safer than base boosters that do not have 5-point harnesses. Negatives: They cannot be used for infants. COMBINATION CAR SEATS: Are intended for toddlers and older children. They provide a 5-point harness for a younger child that can be removed as the child grows older and uses the actual seat belt while still sitting on a booster. Positives: This car seat covers you for both toddlers and your 7 year old. Again less junk in the attic! Why buy multiple when you can get what you need in one? BELT-POSITIONING BOOSTER SEATS: This car seat is intended for older children and is meant to be used with the standard seat belt of a car. Check out Consumer Reports for more information. Also be sure to read reviews, and reviews, and more reviews before you buy! A few of my favorites are Britax, Chicco, and Clek. I LOVE them for their high safety ratings, rewards, and history. But on top of being safe they have attractive/stylish looks and my Britax is SO comfortable! I had to sit next to it in the back one time and even I fell asleep leaning on the side padding. We are so excited to announce we are going to have a baby in June! 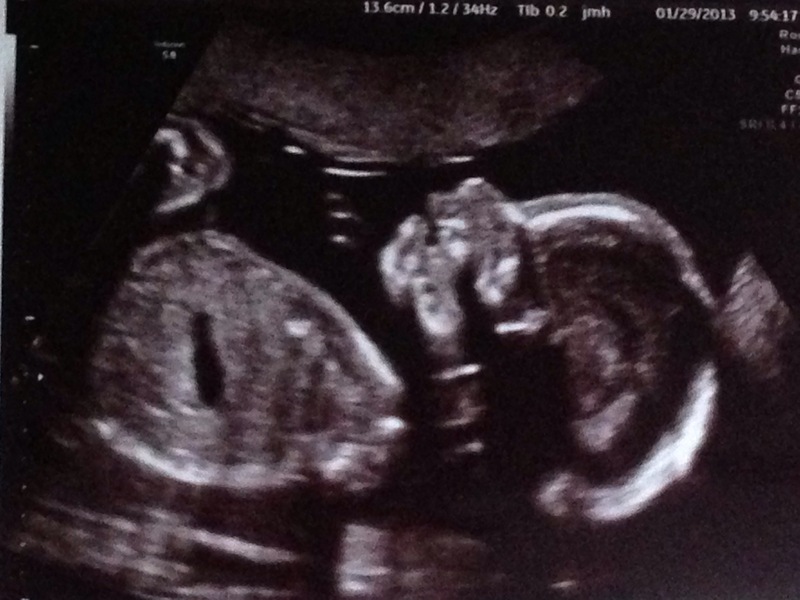 Isaac and I are so so excited to become parents in a few months. One of the greatest joys of my work is that I get to capture the special moments in my clients’ lives. 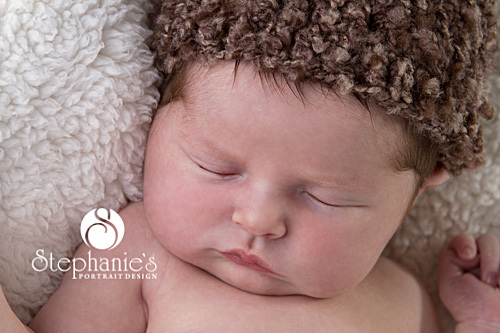 I have enjoyed watching many clients go through pregnancy and eventually welcome a bundle of joy into this world. I enjoy watching my clients’ families grow and being a part of that. Keep a look out, we have been working on a fun maternity project so keep an eye out for that this summer. Since this is our first baby I wanted to see the progression as my body goes through these changes. It has definitely been an experience so far. Thank you for allowing me to be a part of your joys and we hope you will continue to be a part of ours. The Professional Photographers of America (PPA) created the Merits and Degree program in 1937. Those who choose to progress in their art and attain a degree show they have met PPA’s standards of excellence and service. Only about 4% of members have earned a degree. 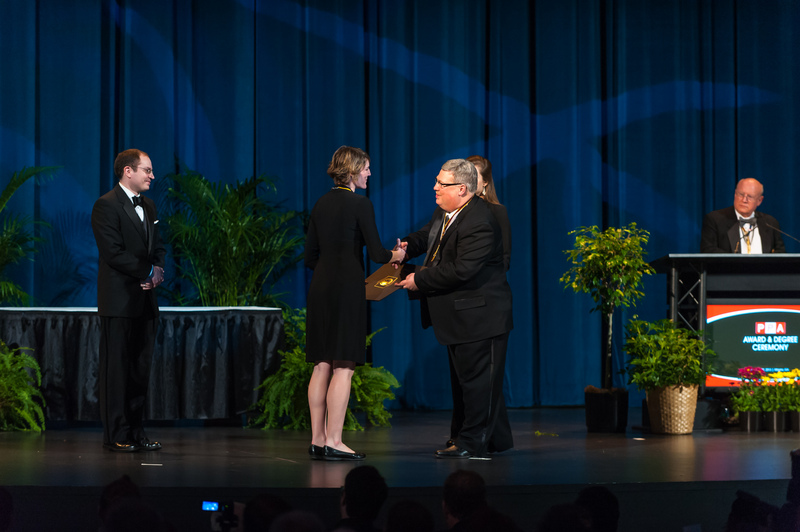 Working toward a PPA degree helps you grow as an artist and your work improves. To earn a degree you have to earn merits by advanced education, service to the industry, and excelling in photographic competition. Most photographers work toward a degree for numerous years. And they continue to work on improving their craft beyond earning their degree. I am honored to finally have earned my Master of Photography Degree. The Master of Photography Degree is awarded in recognition of superior photographic quality. It is a rigorous process of submitting your images in international photographic competition and being awarded based on 12 elements of a merit image. As I have gone through the process of earning my Master of Photography Degree, my images have become better. I continue to improve as an artist and that in turn benefits my wonderful clients. I love creating beautiful images for my clients and going through this processes has allowed me to give them only the best. Thank you to all who have supported and encouraged me through this process. It is a long, hard process and I could not have done it without you. And especially thank you to my wonderful husband who has been there when I thought I wouldn’t ever achieve this goal and who always encourages and believes in me. It is wonderful to have you by my side. I LOVE snow! Growing up in Virginia snow is a magical, rare sight to enjoy! Not to mention, the whole world shuts down for relaxing and fun family time. I have so many fond memories of playing in the snow, building forts, making snow angels, and eating snow cream! One thing I was never able to master was how to make a snowman. I have tried picking up and patting the snow in order to form one (that didn’t work) and I have tried rolling the snow into balls (THAT definitely has never worked for me. ) So I did a little research on how to make the PERFECT snowman so next time the snow decides to grace us with its presence, we will be prepared. 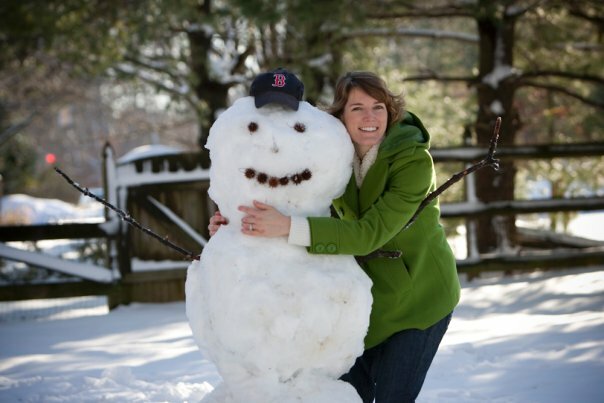 As you can see, Stephanie is a snowman expert! 1. Don’t use powdery snow. As with anything you make, if the materials are not right the likelihood of success diminishes. In order to easily make a beautiful snowman, the snow should be slightly wet (NOT icy- which can be a problem in Virginia). This makes it easy for the snow to pack together and stay together. If the snow is too powdery, you can lightly spray it with small amount of water from the hose or a spray bottle. 3-4 inches of snowfall on the ground at a minimum is needed to roll snow into balls. 3. Flatten the top of the stacked snow balls. For the the bottom and the middle snow ball, make sure you flatten the top so the next snow ball can rest securely! Pack additional snow between the balls once stacked, if needed for support. 4.Be creative with accessories. Truly make your snowman your own and pick original items for facial features, arms, and legs. Don’t use items that will blow away easily or rot quickly. Try your hand at an upside down snowman or a snow bear! Have fun! One of my favorite things about cuddling little babies is their super soft, sweet skin! Our goal as moms is to keep it that way as they continue to grow. With so many products on the market today, how can one know which is truly best for their baby? Here are some helpful tips we have researched to help you as you product your baby’s skin. The great thing is this also applies to us as adults! Avoid Dangerous and Harsh Chemicals. One of the best things you can do for your baby is avoid dangerous and harsh chemicals. Be sure to look at the ingredient list on the back of the product before you buy and apply. Even “organic” products may contain potentially harmful ingredients. For a full list of what you should be watching out for see our harmful chemical list at the bottom of this blog post. Avoid The Bugs and the Bug Sprays. Living in Virginia we know bugs, particularly mosquitoes are a huge problem. But I have yet to find a bug spray, even ones geared for “babies or children” that does not have questionable or potentially harmful products. If it’s not harmful, it can cause rashes or itching. The best advice I can give is avoid places where they will come in large contact with bug exposure, particularly as a brand new infant ( younger than 2-3 months.) If you cannot avoid it, purchase a bug net to cover the car seat, or equip your area with bug off scents (don’t place too close to the baby). If you are interested in high rated infant bug sprays you can research them for yourself. CLICK HERE for Consumer Reports information on safe bug sprays. Avoid Harmful Sun Exposure. Always avoid direct sunlight on your baby’s soft, sensitive, skin. Rather than lather them with suncreen, it is better to cover up babies younger than 6 months with shade, more shade, and a hat. As they get older apply a small amount of sunscreen. Find recommended sunscreens HERE. Go Dye and Fragrance Free. I would be totally lying if I said I followed this one. Some of the babies fragrances are so yummy I cannot help it, and if you read the labels some natural fragrances are just fine. When in doubt though, it is always safer to go for the non-scented products. Many can contain “Phthalates, chemicals used to stabilize fragrance and increase absorption, are absorbed through the skin and enter the bloodstream.” www.healthychild.org It is always very important to avoid dyes and fragrances when using soaps; whether that be for direct body contact or the washing machines. Dyes and fragrances can cause harsh, itchy rashes on a baby’s soft skin. For more information check out www.healthychild.org. About 4 years ago I traveled with my husband’s family at Christmas to Austria and Germany. It was one of the BEST Christmas of my life. In Austria and Germany they understand how to celebrate Christmas! Even the air is magical. Christmas Markets are a long standing tradition in both Austria and Germany. From large towns such as Munich and Salzberg to small towns and villages everyone has a market. One can find fresh breads, wreaths, hand crafted nutcrackers, smokers, pyramids, and coo-coo clocks. The buildings surrounding the market can date back to before our country was founded so you can imagine how surreal the setting is! The Advent is a period of preparation celebrating the birth of Christ. It begins on Sunday, four weeks before Christmas. Handmade wreaths with four candles are placed in the home. On each Sunday leading up to Christmas, a candle is lit while families read scriptures, sing and pray until at the end of the month, all candles are lit symbolizing the coming of the Christ child. The Lighting of The Christmas Tree occurs on Christmas Eve. All shops close by 6p.m. Christmas Eve in Austria.There are no concerts/performances, shops, bars, or movie theaters open. This is so everyone can go home, gather round the Christmas tree, sing “Silent Night” and light the candles. We actually witnessed this in Salzberg that Christmas. The city was so still, so reverent. It was filled snow, peace, and the voices of the innkeeper’s family singing around their tree. There is no Santa Claus as we know him in Austria. Children believe the Christ Child decorates the Christmas tree and brings them presents instead. Click Here to discover more about Austria! I have never been here at Christmas time, but it is on my list! To truly be Christmastime in France, the city must be filled with lights. As stated by the Official France Government Tourist Website “In Paris, the Champs-Elysées will be strung with 150,000 lights and a project known as “Paris Lights Paris,” will decorate 30 neighborhoods with lively effects and highly original creations.” That sounds like something I need to see! The yule log shaped cake tradition comes from France. Before we had electric or gas heating, a special over sized log was selected for Christmas in order to burn the entire night long. As the years passed and the actual log was no longer needed, the French found a fabulously tasty way to keep the tradition alive. Famous Christmas heroes or characters include Olentzero, who lives in the mountains and once a year, he provides wood to all the poor so no one will be cold on Christmas, Aunt Airie, who travels by donkey to share candy, and Christkindel, who visits well behaved children with treats. I wonder if children are better behaved in France as if they are not good, legend says that Hans Trapp will come and take away naughty children to the dark woods forever. My brother-in-law is currently living in Moscow Russia so the customs and traditions of their Christmas holiday are of particular interest to me. It was not until recently in 1992, that the Christmas holiday was able to be openly observed in Russia. After the 1917 revolution, Christmas was one of the religious celebrations banned from the country. The Christmas Eve meal in Russia is a very large affair. Russian tradition stems from the Orthodox faith, which requires fasting prior to the Christmas eve worship service, or the first star appearing. Once the first star has appeared, the feast begins. This feast, also known as ” The Holy Supper” does not, however contain meat. All aspects of the meal are symbolic-from the table cloth to the items served. Click HERE for more specific information. It is very fascinating! Originally, Russians celebrated St. Nicholas, but due to the suppression of the holiday and all associated with Christmas, the new figure became Ded Moroz or Grandfather Frost, the Russian Spirit of Winter. He brings gifts and presents for the New Year in January. The Christmas tree was banned in Russia, but one could have a New Years tree. Due to the communist regime, many could not afford ornaments so they decorated their trees with fruits and homemade decorations. Rather than celebrating Christmas on December 25th, Russians celebrate on January 7th. When Christmas was banned they disguised the holiday as “The New Year’s Holiday Tradition” and celebrated it in January. Today, Russians celebrate on both days, with the January Holiday as the larger of the two events. Discover more about Russian Christmas. Isaac and I have a special place in our hearts for Brazil so we wanted to share a few traditions they enjoy. For one thing, it is summer time in Brazil, so no white Christmas for them. One tradition in Brazil is to create a nativity scene or Presépio. The word comes from the word “presepium” which means the bed of straw that Jesus first slept in Bethlehem. The Presépio is common in northeastern Brazil (Bahia, Sergipe, Rio Grande do Norte, Paraíba, Maranhão, Ceará, Pernambuco, Piauí and Alagoas). The Presépio was introduced in the 17th century, in the city of Olinda in the state of Pernambuco by a Franciscan friar named Gaspar de Santo Agostinho. Today you can find presépios set up in December and displayed in churches, homes, and stores. The people of Northern Brazil, as in Mexico, enjoy a version of the play Los Pastores or “The Shepherds.” In the Brazilian version, there are shepherdesses rather than shepherds and a gypsy who attempts to kidnap the Christ Child. Papai Noel (Father Noel) is the gift-bringer in Brazil. According to legend, he lives in Greenland. The idea of this Santa-type character was adopted from North America in the 50’s. The commercial appeal in the late 60’s and 70’s is what made him popular. When Papai Noel arrives in Brazil, he usually wears silk clothing due to the summer heat. Read more here. Another common tradition is amigo secreto (secret friend), where friends and family exchange names secretly at the begining of December. During the month they exchange correspondence among each other using apelidos (fake names). On Christmas, family and friends gather to reveal their secret friends and offer them a special gift. Many families stay up on December 24th and have a feast at midnight with family and friends. Then they celebrate as fireworks light up the sky. Huge Christmas “trees” of electric lights can be seen against the night skies in major cities such as Brasilia, São Paulo, and Rio de Janeiro throughout the season. Fireworks displays go off to welcome the new year. Another country whose traditions interest me is The Netherlands (Holland). They celebrate Sinterklaas (St. Nicholas) Day on December 5th. Sinterklaas is said to live in Madrid, Spain and arrive by boat at a different harbour in Holland each year so as many children as possible get a chance to see him. He then leads a procession through the town, riding a white horse. Sinterklaas travels with Zwarte Piet (Black Peter), who keeps a record of all the things the children do throughout the year and if the children were good, Sinterklaas will bring them presents. If they were bad, Zwarte Piet will chase them with a stick. On the night of the 5th, children leave their clogs or shoes out to be filled with presents. They also believe that if they leave hay and carrots for the horse they will be left some sweets. There are parties as well to celebrate Sinterklaas Day. Many children at school draw a classmate’s name from a hat and surprise that person with a gift they made. The presents are often things that the person would find useful with their favorite hobby. Christmas day is a much quieter day with church service and a family meal. And Santa Claus is called Christmas Man so he is not confused with Sinterklaas. Read more. We hope you enjoy this holiday season and learn about or incorporate new traditions from around the world. As we enter the month of December I am very excited for some of the family traditions Isaac and I have started since we have been married. So I wanted to share some of our holiday traditions as well as some of those we have heard from family and friends. As you may know, Isaac and I love to read. During the month of December we have a few books we read as we prepare for this wonderful season. This year we decided to start with Charles Dickens’ “A Christmas Carol” I am sad to say the only version of this classic tale I know is the one which includes Scrooge McDuck. And yes, as we read this story I can’t help but picture Scrooge as a duck. I really need to work on that. But I am really enjoying the original words by Mr. Dickens. Find it available here as a free ebook. Another book we read this time of the year is “The Mansion” by Henry Van Dyke. In this book rich and miserly John Weightman dreams one night that he has died and is traveling to the Celestial City, where each person is rewarded with a mansion according to how they lived their life. This is a wonderful story that illustrates the importance of giving unselfishly. It is a quick read and available here as a free ebook. And one last short story is “The Gift of the Magi” by O. Henry. This story is about a struggling newlywed couple who are anxious to give each other a Christmas gift. Each one sells the one thing they hold most dear so they can afford a great gift to show their love. This is a truly touching story. Find it here as a free ebook. In Isaac’s family, each Christmas Eve mom reads The Polar Express while everyone sips their own mug of hot cocoa with a candy cane and whipped cream. My mom also read us the Polar Express on Christmas Eve, among a few other fun stories. A tradition we adopted from Isaac’s sister, Amanda’s family is lighting an advent candle and reading in the scriptures about Christ. I really enjoy doing this every evening in December leading up to Christmas because it is wonderful to reflect on the true meaning of Christmas and Christ, and I really enjoy the ambiance of reading by candlelight. The first time we did this was while we were in Wyoming a couple of years ago and Amanda and her husband shared this tradition with us. We would end up staying up talking for hours, sharing stories and laughs, and I loved how it really brought us closer together. Okay for my guilty pleasure during the holiday season, I really love to watch cheesy Christmas movies. You know the ones found on ABC Family and the Disney Channel. Yes, I know… But they make it feel wintery because they always have snow, as I write this today it is 75 degrees here (not that I’m complaining, I am loving the beautiful warm weather and I really only like to visit the snow.) But of course I have to reminisce from my childhood and watch Home Alone. Also, when my brothers and I were little, we used to watch the claymation shows that came on tv every year. I think what I like about these movies this time of year is they are always heart warming and end happily. I’m truly a romantic at heart. I also love listening to Christmas music. I will say though that I prefer to wait until December 1st to start listening to it otherwise I start to feel that should be over before it actually gets here. So to save me from getting burnt out on the season I like to wait until after Thanksgiving and really enjoy Christmas during the month of December. Some of my favorite Christmas songs are O Holy Night, The Little Drummer Boy, All I Want for Christmas is You, and Baby, It’s Cold Outside. Yes, that is me singing in the car as I’m driving all over town. One tradition that my grandma shared with us every year was making hand dipped chocolates. She was amazing. One year I had the pleasure of learning some of her recipes and I love it when I get a chance to dip chocolates to share with friends and family during this time of year. Of course, this is my busiest time of year so I do not get a chance to dip chocolates, but I do look forward to working that into our family traditions as our children come along. Some of my favorites that Grandma would make are a variety of flavors of fondent, english toffee, Idle Isle, and fresh butter mints. I have never attempted to make butter mints myself, Grandma would have blisters on her hands from pulling the mints until they turned in to a delicious treat that would melt in your mouth. I have never had a butter mint like Grandma’s. There were many other things she made and would include a sampling in a tin for each of her children and grandchildren as they grew to be adults. During the holidays Grandma would always offer us chocolates when we came to visit. A family tradition that I hope to incorporate with our children one day is to work together as a family to serve others. There are lots of programs out there, coats for kids, toys for tots, the food bank, community kitchens, angel tree, and so many more. Some wonderful stories I have heard from other families is how they have worked together as a family to provide service. Be it everyone collecting their loose change in a jar or contributing money to a can each time they walk by or shop for less fortunate kids, getting the kids involved and helping them feel the true meaning of love and service is a wonderful thing. Most of all what I love about this time of year is getting to spend time with family. I love doing service for others and I love that it brings people together. What are some of your family’s Christmas or other Holiday Traditions?